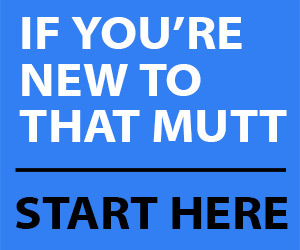 My journey into dogs with jobs continues. Today, we’re tagging along with Susan Read and her dog Zori to learn about search and rescue. Do you know a dog with an interesting job? Leave a comment or contact me at homeon129acres@hotmail.com, and they may be featured in an upcoming post. Here in Ontario, search and rescue is handled by civilian teams. Susan and Zori are volunteers who are called upon by police agencies to find missing people. Zori is a Belgian Malinois, a breed commonly used for search and rescue. Most search and rescue dogs come from herding breeds, like Malinois and German Shepherds, although other breeds, such as Labrador Retrievers, also excel at search and rescue. Beyond the breed, there are certain qualities that make a dog a good candidate for search and rescue. Play is at the root of search and rescue training. “Usually, training starts as a game played with puppies, starting with simple reward-based training, and expanding outward to “games” with more specific job skills,” says Susan. 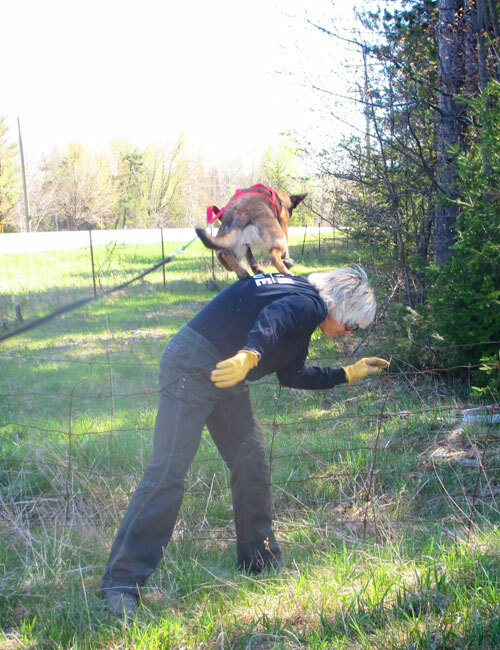 In Ontario, search and rescue dogs are owned and trained by civilian handlers. 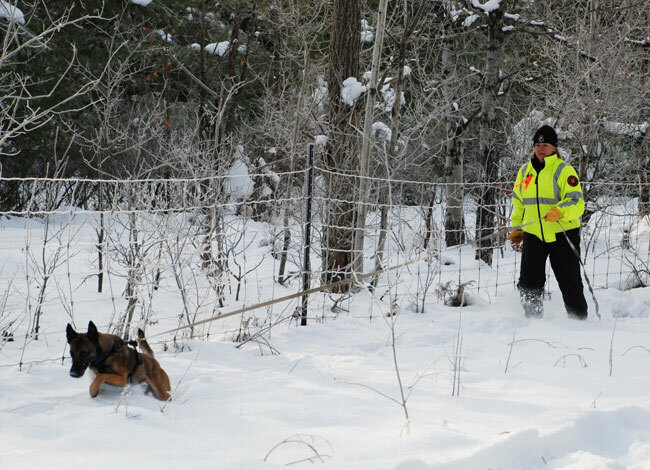 Preparing a dog for search and rescue certification can take between a year and a half to two years. “In the beginning stages of the dog’s training, we work at getting the dog to understand that finding human odour and committing to this odour will bring a reward. Ideally, working with a dog with tremendous toy drive helps to accomplish this much quicker and more easily,” says Susan. The odour that the dogs track comes from skin cells. These cells, called rafts, are shed constantly from our bodies. The bacteria on our skin produce gases that can be detected—and followed—by dogs. Dogs are trained to alert their handler that they have located human odour. As training progresses, the dogs are presented with different challenges. For example, the bacteria on our skin can be affected by factors such as temperature, humidity, light. Therefore, handlers will gradually increase the level of difficulty, introduce challenges in terrain or include more distractions in their training programs. Along with specialized training, socializing is key in helping a dog to become a successful search and rescue dog. Search and rescue dogs are typically trained to find living people, although some dogs are cross trained for both live and cadaver. Human remains detection dogs, or search and recovery dogs, are imprinted with human cadaver odour, rather than skin cells from live humans. Once a dog has completed its training, it can be certified. Search and rescue teams are certified annually by the Ontario Provincial Police (OPP). Certification evaluates dogs in four areas: obedience, agility, search and tracking. For detailed criteria in each of these elements, visit the Ontario Search and Rescue Volunteer Association (OSARVA) web site. Beyond the dogs, the handlers must meet certain standards as well. They must be a member of an OSARVA team and must be a certified ground searcher. Certification in search—which has to be renewed annually—involves map and compass navigation skills, clue detection, search patterns, personal equipment, environmental conditions and understanding the chain of command and communications systems used by emergency responders. In addition, most teams require members to have First Aid and CPR. Search and rescue is a way of life for Susan and Zori, as well as the other volunteers in Ontario. The dogs and handlers are equally committed to their work. Do you have search and rescue volunteers where you live? What impresses you most about search and rescue dogs? What does a therapy dog do? 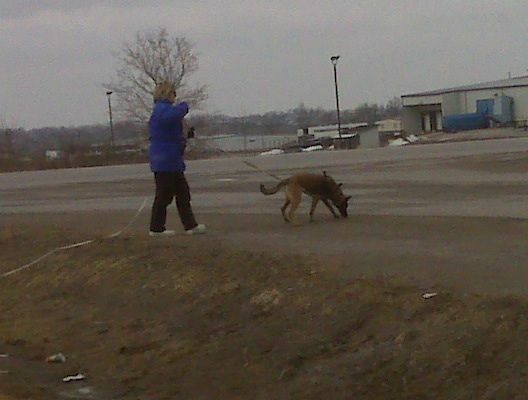 There are search and rescue dogs in my area but they belong to law enforcement I do not know a pet owner that has one. It is amazing how dogs can help us. Loved this article! I looked up search and rescue for our area because we have a fair amount of people who go missing in our county each year. They have a volunteer program with dogs. Pretty interesting! The volunteer aspect surprised me. It’s interesting to hear how different areas handle search and rescue. It’s such an important, needed service, and we couldn’t do it without dogs. Glad you enjoyed the article. That’s a fascinating read. I’ve seen search and rescue dog demos, it’s interesting to see them work. Around here I think it’s the police units that have them. I’ve read a few books, but never seen them in action. It’s so fascinating. Thanks for sharing how it works in your area. Another fascinating, informative read about dogs with jobs. 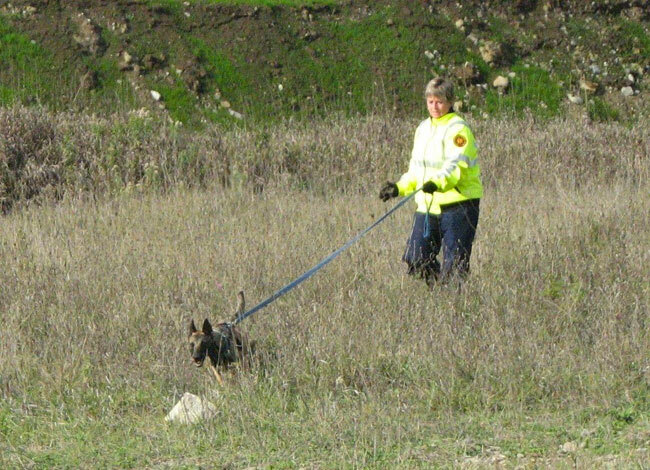 I can only imagine how rewarding it must be to the trainer when the dog is successful and finds a missing person. The satisfaction and sense of pride in the dog must be just priceless. I was wondering, how often have Susan and Zori been called upon to put their skills into practice? Thanks for the post, Julia.